The European Union plans to impose a limit on the use of crop-based biofuels over fears they are less climate-friendly than initially thought and compete with food production, according to draft EU legislation. The new rules, which will need the approval of EU governments and lawmakers, represent a major shift in Europe's much-criticised biofuel policy and a tacit admission by policymakers that the EU's 2020 biofuel target was flawed from the outset. The plans also include a promise to end all public subsidies for crop-based biofuels after the current legislation expires in 2020, effectively ensuring the decline of a European sector now estimated to be worth €17 billion a year. "The [European] Commission is of the view that in the period after 2020, biofuels should only be subsidised if they lead to substantial greenhouse gas savings … and are not produced from crops used for food and feed," the draft said. The policy u-turn comes after EU scientific studies cast doubt on the emissions savings from crop-based fuels, and following a poor harvest in key grain growing regions that pushed up prices and revived fears of food shortages. Under the proposals, the use of biofuels made from crops such as rapeseed and wheat would be limited to 5% of total energy consumption in the EU transport sector in 2020. Crop-based fuel consumption currently accounts for about 4.5% of total EU transport fuel demand, according to the latest national figures for 2011, ensuring that there will be little room to increase current production volumes. Such a limit will throw into doubt the EU's binding target to source 10% of road transport fuels from renewable sources by the end of the decade, the vast majority of which was expected to come from crop-based biofuels. To make up the shortfall, Brussels wants to increase the share of advanced non-land using biofuels made from household waste and algae in the EU's 10% target. "It is appropriate to encourage greater production of such advanced biofuels as these are currently not commercially available in large quantities, in part due to competition for public subsidies with now established food crop based biofuels," the draft says. The Commission has proposed that the use of such advanced fuels should be quadruple-counted within the EU's 10% target, in an attempt to at least meet it on paper. But with commercial production volumes expected to remain low up to 2020, it is doubtful whether the goal can be met. The proposals are contained in long-awaited EU plans to address the indirect land use change (ILUC) impact of biofuels, a subject that has split officials, biofuel producers and scientists, delaying legislative proposal for almost two years. ILUC is a theory that states that by diverting food crops into fuel tanks, biofuel production increases overall global demand for agricultural land. If farmers meet that extra demand by cutting down rainforest and draining peatland, it results in millions of tonnes of additional carbon emissions. The draft law includes new ILUC emissions values for the three major crop types used to produce biofuels: cereals, sugars and oilseeds. These values must be included when calculating emissions savings from biofuels under an EU fuel quality law designed to encourage fuel suppliers to cut emissions from road transport fuels by 6% by 2020. While low values for ethanol made from cereals and sugars are expected to have little market impact, a much higher value for oilseeds is likely to exclude most biodiesel made from rapeseed, soybeans and palm oil from counting towards the fuel suppliers' targets. The Commission says its proposal will protect existing investments until 2020, but biodiesel producers fear that by removing any incentive for fuel companies to use biodiesel, it will put the future of the entire sector in doubt. “Three years after the EU made biofuels a central plank of its policy to promote renewable energies in transport, the Commission's current proposal threatens an industry that arose as a response to its policies, supports 50,000 jobs and would have provided the next generation of biofuel technologies,” said Jean-Philippe Puig, chief executive of Sofiproteol, which owns the EU's largest biodiesel producer. 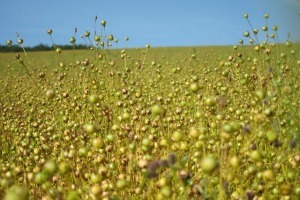 Environmental campaigners welcomed the proposal to limit the use of crop-based fuels, but said the plans should have gone further. “The good news is that this proposal, if adopted, would stop further expansion of current types of unsustainable biofuels, which is an important step. But the bad news is that it fails to do anything about the current volumes of these fuels,” said Nusa Urbancic, clean fuels campaigner for Transport and Environment. If confirmed, the rules are expected to boost European consumption of ethanol, which currently accounts for just over 20% of the EU biofuel market, compared with biodiesel's 78% share. But with diesel cars accounting for about 60% of Europe's fleet and rising, it is unlikely that increased ethanol consumption will be able to completely offset the likely decline in biodiesel consumption. The International Council on Clean Transportation has predicted that any emissions savings from the EU's biofuel policy are likely to come from ethanol, while crop-based biodiesel has a worse carbon footprint than normal diesel. "Biofuels are wreaking havoc on tight food markets and our forests, increasing hunger and accelerating climate change just so Europe can fuel its cars," said Robbie Blake, the biofuels campaigner for Friends of the Earth. "The EU needs to comprehensively close the carbon accounting loophole [from ILUC], otherwise biofuels will continue to expand agriculture for fuel at the expense of forests and natural habitats, and increase carbon emissions." He continued: "After months of delay, the Commission has come up with a messy compromise that acknowledges that ILUC is extremely serious, but then fails to address it in all pieces of legislation. This proposal would see an increase in Europe's biofuels made from food, when what we need at this time of food crisis is to stop burning them altogether." 'Indirect land-use change' means that if you take a field of grain and switch the crop to biofuel, somebody somewhere will go hungry unless those missing tonnes of grain are grown elsewhere. This is because the demand for the missing grain is typically met by the clearing of forests, grasslands and wetlands elsewhere to grow it - and the consequent depletion of the planet's carbon absorption stocks. This process is exacerbated when the forests are burned, and vast quantities of climate-warming emissions are pumped into the atmosphere. The European Commission has run 15 studies on different biofuel crops, which on average conclude that over the next decade Europe's biofuels policies might have an indirect impact equal to 4.5 million hectares of land – an area the size of Denmark. Some in the biofuels industry argue that the Commission's science is flawed and that the issue could be tackled by a major overhaul of agricultural strategy to improve productivity or by pressing abandoned farmland back into action. Waste products from biofuels production can also be fed to animals, they say, so reducing the pressure on land resources. This is not true: the proposal plans that there will be no support for biofuels that use food crops post-2020. What most biofuels proponents don’t acknowledge is that the price of biofuels follows the price of oil (check the markets) because of the real hidden secret: biofuels are absolutely dependent upon petroleum for fertilizer, pesticide, herbicide, farm equipment fuel, distillation heat, electricity, enzyme manufacture, and for the hydrogen to hydro-treat the alcohols and esters of biofuels into the true hydrocarbon drop-in fuels that the military and airlines must have. Modern food crop yields are only possible because of artificial fertilizer made from natural gas. Biofuels and food are both critically dependent upon petroleum and water, and both biofuels and food go away if we run out of either. Biofuels have just been accelerating rather than decreasing our use of petroleum and water. It’s well past time for this small glimmer of sanity. Too bad for all of us this doesn’t go further. I understand the problem that energy rules make when they are specific in terms of quotas or mandates for a certain kind of fuel or more specifically (and usually) specific sources of material. With these policies, we create a constituency that lobbies against anything that is, in turn, better in terms of the larger goals. If the goal is to reduce the carbon content of fuel and do it in a way that is, in all other respects, more sustainable then the legislation that sees the light of day should not specify anything other than a carbon content and a requirement to meet sustainability criteria such as those being developed by the Round Table on Sustainable Biofuels. Those criteria can be elaborated to deal with indirect land use change (ILUC) or anything else that creates a concern. Can anyone direct me to the the draft of the proposal that is being covered in this piece?